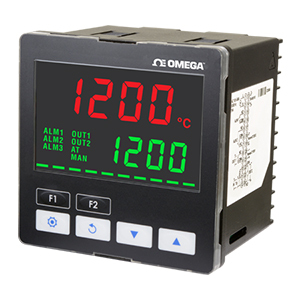 The New Omega temperature & process controller CND3 Series is designed with upgraded hardware and higher specifications to offer smart operation, fast response, and easy to use, plus user-friendly and user-defined function keys. With Self-Tuning PID and FUZZY temperature control functions, controllers can be installed in both open space or confined space applications and are capable of presenting a smooth temperature control curve. Applications Include: Machinery for the printing, food packaging, solar panel manufacturing, and high-tech electronics industries. *Depending on the rating of resistor 249Ω built in. Rating: DC 12V ±10%, 40mA max with short protection.